Benedict graduated from the University of Hong Kong with a Bachelor of Arts (Honours) degree and completed his Common Professional Examination and Law Society Final Examination in England to be admitted as a Solicitor of the High Court of Hong Kong in 1990. He pursued further degrees and was awarded a Diploma in Chinese Law by the University of East Asia and a Master of Laws degree in Chinese and Comparative Law by the City University of Hong Kong. Benedict is a Senior Partner of Chiu, Szeto & Cheng Solicitors, Hong Kong. 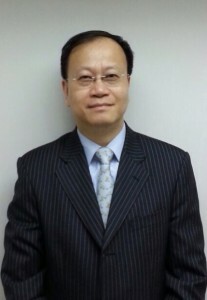 His major areas of practice include civil and criminal litigation, matrimonial litigation, mediation, intellectual property matters, China trade, commercial law and conveyancing. Benedict is also accredited as a Civil Celebrant, an Accredited Mediator of the Hong Kong Law Society and of the China Council for the Promotion of International Trade (Beijing).